Very Good. 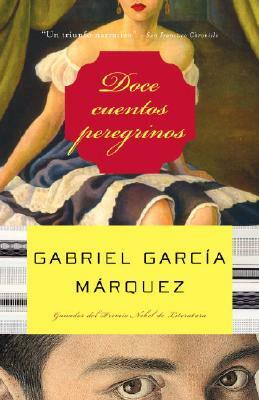 Doce Cuentos Peregrinos (Fiction, poetry & drama) by Garcia Marquez, Gabriel. Text in Spanish. Fiction, poetry & drama. . Very Good. Doce Cuentos Peregrinos by Marquez, Gabriel Garcia. Text in Spanish. Trade paperback (US). Glued binding. 221 p.
Good. Doce Cuentos Peregrinos by Marquez, Gabriel Garcia. Text in Spanish. Trade paperback (US). Glued binding. New. Text in Spanish. Trade paperback (US). Glued binding. 175 p.